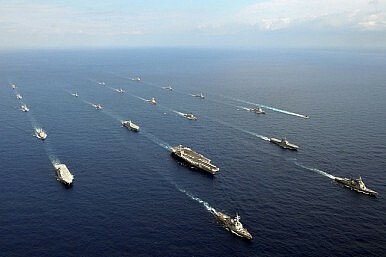 Do AirSea Battle and A2/AD make the U.S.-China military balance more or less stable? Proponents of the offense-defense balance argue that when military technology and doctrine favor the offense, the security dilemma is more acute and war is more likely. For example, proponents of this theory hold that one reason that WWI broke out was because all the parties believed that the opening salvos of the war would be decisive in determining its outcome, and therefore felt they had to act first since so much advantage was gained from doing so. Of course, the military technology and doctrine at the time of WWI did not in any way favor the offense; quite the contrary. Thus, one of the most stinging critiques of offensive-defensive balance theory is that it is impossible to distinguish between weapons and doctrine that are purely offensive versus those that are purely defensive in nature. As Michael Brown has summarized these critics’ argument, "Whether a weapon is offensive or defensive depends on the situation in which it is used." Given the importance of preventing a conflict between the U.S. and China, it’s worth analyzing the military balance in the Western Pacific through the lenses of the offense-defense balance. Since, the “offensiveness and defensiveness of many weapons is ambiguous,” one can gain more from considering their military doctrines (or concepts)—AirSea Battle (ASB) and Anti-Access/Area-Denial (A2/AD)— which give us a better sense of how these capabilities would be deployed. While the U.S. military struggles to precisely define ASB, even a less than complete understanding of it leaves little doubt that—at least with current capabilities— ASB calls for offensive-oriented action. This is explained well by the Rand Corporation’s Terrence Kelly and David Gompert in an excellent recent commentary piece on Foreign Policy. Kelly and Gompert further point out, in the best tradition of offensive-defensive balance theory, that this creates an inherently unstable situation. After all, the PLA understands the imperative for the U.S. to strike first under ASB, and as a result it is tempted to preempt the U.S. out of fear Washington will neutralize its A2/AD assets. A New Game Plan For China's Nuclear Arsenal? Xi’s recent speech to the 2nd Artillery have some thinking that changes are in store for China’s nuclear doctrine. China's A2/AD "System of Systems" America Hedges Bets on ChinaThe Other China Missile ThreatChina's Anti-Access MissileHow Flexible Are US Counter-A2/AD Systems Anyway?